English stayer Withhold is the favourite to become the next international winner of the Geelong Cup. Withhold is favourite to add his name to the list of international winners of the Geelong Cup and jockey Kerrin McEvoy believes the English stayer has what it takes to make an immediate impression in his Australian debut. 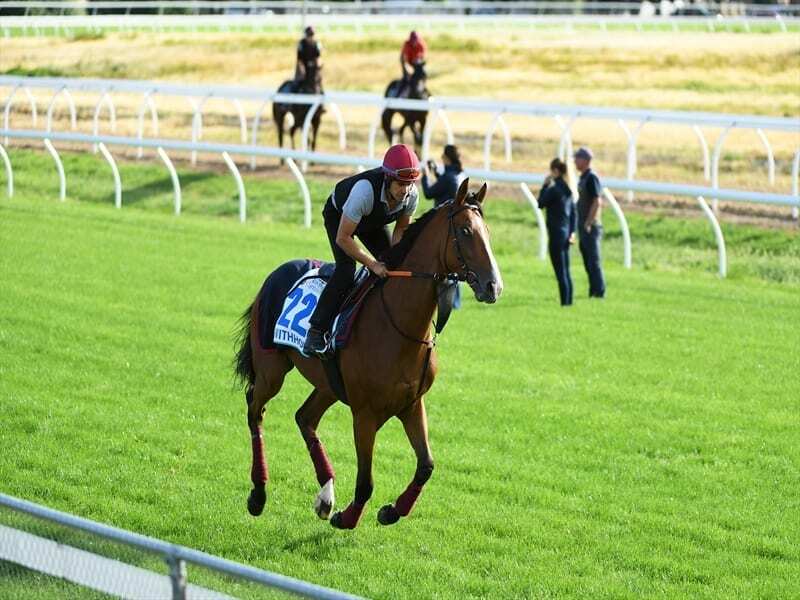 The Roger Charlton-trained Withhold was the $2.90 favourite on the eve of Wednesday’s Group Three Geelong Cup (2400m) and could join Media Puzzle (2002), Bauer (2008), Americain (2010), Dunaden (2011), Gatewood (2012) and Qewy (2016) as northern hemisphere-trained winners in the past 20 years. McEvoy has been to the Werribee quarantine centre to ride Withhold in his work and expects him to prove hard to beat at Geelong. “He seems to have travelled out here really well and he’s obviously got impressive handicap form over there,” McEvoy said. “He’s a nice style of a horse so you’d like to think that he can go there and run really well. “I haven’t had a good look at the race yet but he seems versatile enough to do what you want. Withhold has won four of his 11 starts including the Northumberland Plate (3269m) at Newcastle in England at his only start this year. He is high up in betting at $15 for the Melbourne Cup but the gelding currently sits 33rd in the ballot on 53kg. The $7.3 million Melbourne Cup (3200m), which is run on November 6 at Flemington, has a field limit of 24. Withhold would be eligible for a weight penalty if he was to win the Geelong Cup. While Withhold is the only northern hemisphere-trained entry for the Geelong Cup, the field also includes imports Finche and Casterton who have joined the Chris Waller stable and are set for their first Australian race appearances on Wednesday. Finche, who is 27th in the Melbourne Cup ballot, was on the second line of Geelong Cup betting on Tuesday at $4.40.